Two years ago, Priya was on top of her game – she graduated from a top-rated IT program with honors and knew the latest industry trends. She could converse at length about the nuances of the industry, the trends in IT, and best practices relevant for her role. Today, with the demands of her job, she rarely has the time to stay abreast with the industry and feels disconnected and “out of touch” from the field she loves. Bill, a seasoned HR vet, experiences a sudden shift in strategy. He needs to find a standardized way for SMEs, analysts, and business partners of different backgrounds to rapidly plan and implement targeted research. Does Bill stop his work to try and identify a best practice resource or does the learning and development (L&D) department identify the correct solution? Enter the learning curator. A learning curator is simultaneously a generalist and specialist, leveraging a broad base of knowledge and skills along with their specialty in synthesizing, researching, and problem-solving to provide targeted solutions, recommendations and enhancements to an L&D department. Leveraging their abilities along with curation software, curators target industry practices, trends and articles affecting Priya’s business unit. A regular newsletter distilling the massive flow of information is drawn down to the most relevant information, and with feedback from Priya and her business team, it becomes targeted to their specific interests. Priya again feels connected to the field she loves with a minimal time investment. Additionally, Bill sends his request to the learning curation team who researches and identifies a set of best solutions, providing Bill with a menu of recommendations. Bill and his team select the best fit for their needs without any breaks in workflow. What is a Learning Curator? There are many definitions of curation with a great deal of overlap, which only increases confusion. To understand the relevance of multidisciplinary teams it is important to understand what differentiates a learning curator. A learning curator facilitates the organic interaction between knowledge, knowledge systems, and knowledge consumers in a proactive and interactive manner. The goal of learning curation is to locate and synthesize knowledge; bringing it together with users in a timely and efficient manner to enhance learning. Learning curation leverages the abilities of the team to build direct active relationships, investigate, research, create and vet content based on understandings of specific strategic and business needs. A simple way to compare the differences between learning, content, and marketing curation is by examining them through intent, as intent often defines function. Learning Curation: The learning curator focuses on training their audience by providing immediate knowledge. They fill the gaps created between development time for formal training and the vast amount of content becoming available on a daily/weekly basis. In addition, they serve as a centralized resource for research, communication of updated knowledge, and support gaps in training needs through proactive and planned strategies. Content Curation: In content curation, the goal is to organize, update and maintain information for access and consumption. In contrast, learning curation is less focused on the maintenance and curation of content such as within content management systems, although they might play a role depending on their organization. Marketing Curation: Marketing curation identifies content, annotates and writes-up, and shares it to help build a customer base, increase branding and drive sales. Learning curators market to learners more often internally with the direct goal of enhancing learning. Learning curation requires flexibility and responsiveness, so it is important the team reflects this in its skillsets. A multidisciplinary team means opportunities to adapt and apply unique insights and perspectives. Multidisciplinary learning curation teams allow for mutual support and provide a portfolio of skills on one team. Without a multidisciplinary approach, learning curation is likely to be in name only – lacking the key synthesis and interaction. Let’s consider the following example. Aleta, a learning curator, receives a request for a newsletter to help the learning department stay up-to-date. Aleta’s background includes software development. She engages her peer James, who knows human factors and quality assurance. Together they produce a newsletter that highlights industry trends and information regarding measurement/assessment (quality assurance), web design (human factors), and trends in software (software design) relevant to L&D. A multidisciplinary team means opportunities to adapt and apply unique insights and perspectives. Many skills have relevance to learning curation and deserve consideration. Do not expect that all skills will be covered on a team and remain open to new possibilities depending on needs. In all cases, seek computer literate curators with good research and communication skills. While often stated, “Anyone can do an internet search,” the truth is research is a difficult task. The average internet search will find results based on frequency of keywords, sponsored pages, and optimized web pages – none of which guarantee the value of the information. A learning curator knows how to use advanced search features, understands search engines, and assesses search results. Training skills are valuable in a curator’s skillset. Instructional design, classroom training, and web-based training can all benefit. Learning is a mental endeavor and psychology is a beneficial addition. Advanced understanding of brain function offers opportunities for enhancing learning, identifying learning blockers, facilitating engagement at the mind/brain level, improving vetting, and enhancing assessment. Skills in media, social media, copywriting, scriptwriting, journalism, and writing all strengthen creation and output. Adaptability, flexibility and creativity in the application of skills leads to better outcomes. Remaining neutral in interpreting research and having personal fortitude maintains the reliability of research. The ethical role of a learning curator and their service to their company is reflected in always presenting neutral, honest results regardless of personal feelings. Within learning curation there are four key functional areas that function together toward the goals of learning curation: alignment with business partners, active research, marketing/branding, and packaging. Understanding and coordinating these four areas assures learning curation teams will successfully meet their goals. The fifth area, information architecture, is a specialization outside the scope of learning curation; however, learning curators need to stay in alignment and can play a role in related initiatives. Alignment with Business Partners: Identify and strategically align business groups in the organization around key business and learning goals. This allows proactive and targeted learning curation. The curator acts as a living representative of both internal and external knowledge available for the business unit, and their relationships internally drive their work. Curators know intimate details of business operations and strategies that are not available to outside agencies. Alignment to the business units allows for curators to predict coming needs. Given time to interact with multiple business units in a company helps to de-silo information and increases the value of knowledge available across business units as the learning curator begins to identify gaps and pre-existing resources across units. Just as they entered multidisciplinary, as a learning curator grows they also become internally multidisciplinary within their organization. Adaptability, flexibility and creativity in the application of skills leads to better outcomes. Active Research: Information is the heart of learning curation. Learning curators are always interacting with information, increasing their knowledge and developing greater insights as they work. To be viable, information must be up-to-date and often up-to-day. Cutting-edge companies do not run on month-old information. Curators handle the influx of information remaining up-to-day and getting information to those who need it. Software supports these efforts and targeted materials are created and distributed. It is this active research that becomes the crux, allowing the learning curator to successfully complete their other duties. Marketing/Branding: Learning curation produces many types of materials. Each of these are used to enhance brand recognition for your L&D department. When Priya receives her report explaining options for her training solutions, the feeling of relief and appreciation is projected onto the L&D brand. The appreciation generated by learning curation efforts means that L&D departments have goodwill ambassadors to the rest of the organization. 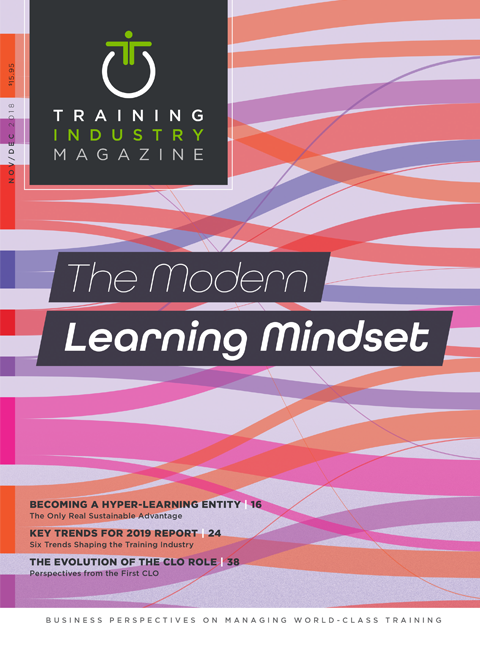 Products such as branded newsletters help to elevate the profile of the L&D department, while including links to relevant trainings can drive throughput to trainings in the current portfolio. Marketing and branding learning curation materials take advantage of this goodwill to enhance the visibility and perception of the L&D department. This can be both formal and informal. For instance, Sarah is attending a health fair and finds the learning curation team presenting on health trainings available in the LMS. Sarah discusses stress management training and talks about a certification in project management and not knowing where to start. The curators realize this is stressful for Sarah and a curator walks Sarah through the online certification track. Sarah is thankful and tells her coworkers about her positive experience with the L&D department. Packaging: Materials must be shipped to be useful, and this is where packaging comes into play. Learning curators create requested products from the content they have uncovered, and at other times they choose the best method of delivery. They consider strategic alignment, business alignment, user consideration, and the content to be delivered to create the right package. Newsletters, podcasts, articles, microlearning, brief videos and reports all play roles in transmitting information. Multidisciplinary learning curation teams leverage the diverse strengths of each team member to create a wider packaging portfolio. Information Architecture: All curation encompasses some amount of content management, and learning curators need to remain in alignment with content management and IA strategies. Information architecture (IA) is a specialized and complex discipline, and it is unlikely that a learning curation team will tackle a full information architecture drive without engaging a separate IA specialist; however, learning curators can play a supporting role. Their role gives them knowledge of their businesses systems and terminology allowing them to greatly contribute to metadata strategies, support with content management, and to help in research and coordination of content management efforts. So, what does this mean for your organization? Leverage your learning curation team in a multidisciplinary fashion. Encourage curators to cross-train and develop complimentary skills. When assembling a new team, look for key traits and diverse skillsets. Finally, make use of the team’s broad perspective to drive innovation and solve for corporate pain points in knowledge systems. Robert H. Schneider, M.S., LPC, CPTM, is a learning curator in the telecomm industry with a background in history, training, psychology, and research. Special thanks to learning curators Jill Little Bear and Colin Ridge.